The "N" litter is here ! Here is a puppy cam if you would like to take a look at them..
We are very excited about this fantastic breeding. Tex is an absolutely outstanding male and a proven producer. Although he is gorgeous in his pictures, you really have to see him in person to appreciate him for all that he is. He has an incredible head, large bone, dark eyes and mouth and beautiful movement, not to mention his exceptional temperament. 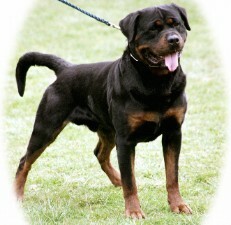 He is the sire of our "L" litter which produced 7 males and 1 female. 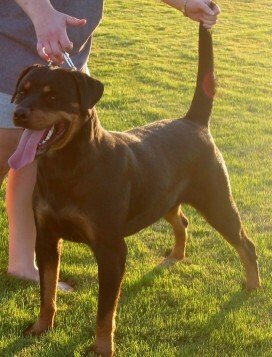 Jaska is the daughter of Balou vom Silberblick. She has a beautiful head, great bone and tons of working drive. She is the mother of our "M" litter. This litter will be great for the show ring or for the schutzhund field. Both Tex and Jaska are German imports. Priority goes to show/working homes however, we will place our pups with qualified pet/companion families.